After decades of egalitarian, restricted consumption, residents of China's cities are surrounded by a level of material comfort and commercial hype unimaginable just ten years ago. In this first in-depth treatment of the consumer revolution in China, fourteen leading scholars of Chinese culture and society explore the interpersonal consequences of rapid commercialization. In the early 1980s, Beijing's communist leadership advocated decollectivization, foreign trade, and private entrepreneurship to jump-start a stagnant economy, while explicitly rejecting any notion that economic reforms would promote political change. However, by the early 1990s the reforms in the marketplace not only produced double-digit growth but also enabled ordinary citizens to nurture dreams and social networks that challenged official discourse and conventions through millions of daily commercial transactions. Using participant observation, contributors to this book describe and analyze a wide range of these changing consumer practices: luxury housing, white wedding gowns, greeting cards, McDonald's, discos, premium cigarettes, bowling, and more. 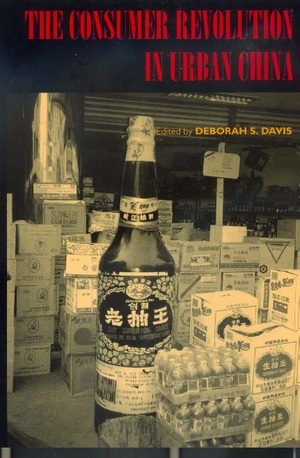 Deborah S. Davis, Professor of Sociology at Yale University, is the author of Long Lives: Chinese Elderly and the Communist Revolution (1991) and coeditor of Chinese Society on the Eve of Tiananmen (1990), Chinese Families in the Post-Mao Era (California, 1993), and Urban Spaces in Contemporary China: The Potential for Autonomy and Community in Post-Mao China (1995).